I don’t want to talk about this story anymore, but when I can’t think about anything else it’s fairly hard not to write about. Today at least brought some new developments in the Tom Brady vs. The NFL story. The appeal that Brady put in on his Deflategate suspension was denied. This isn’t the most shocking thing given that the appeal would have to been granted by NFL Commissioner Roger Goodell, who also gave the suspension in the first place. Said it before and will say it again: This whole case is a mess. The reason why I’m not surprised about the suspension being upheld is because there is enough of a stigma to this story, not only with it being the Patriots outright, but the amount of time spent showing league strength – for better or worse – that made this fight impossible to give up. Think of it this way, if your parents spent weeks saying that you couldn’t go to your friends house because you drew on the walls in Sharpie they wouldn’t bend on it unless they were forced to. This is far from a perfect analogy, but the idea is the same. The NFL has been mad at Brady for months. They were public about not wanting to change its mind. Even when there were discussions about settlements the league stood firm. They had spent too much time committed to “Brady Sits,” not to mention how much they said publicly about it, to not suspend the guy. 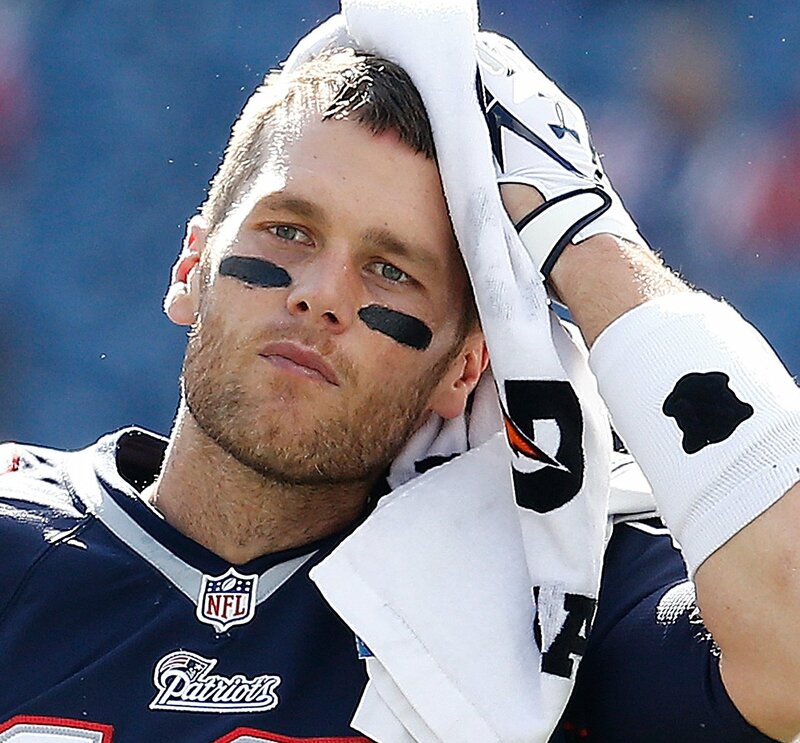 Logic is one thing – you almost certainly settle with Brady, suspend him a game or two, fine the pants off of him because he would pay it, and move on, at least if I were commissioner. However I’m not in Goodell’s chair. Enough of the owners must have had his ear to fight this fight as long as possible. Now the result is Brady giving the NFLPA the go ahead to bring forth the lawsuit in court to fight the suspension. The league will most likely lose this case – they don’t have definitive proof that Brady did anything, destroyed phone or no. League has to completely justify the suspension and it at least appears that they can’t. Look at the fact that they just changed the rules regarding football handling pregame, or how the Wells report didn’t have a clear conclusion. I’ve stood firm with this, Brady had to have known. The situation is fairly clear. But I’m not a courtroom and my rules don’t apply. I believe in plenty of wacky sports conspiracy theories – Michael Jordan was suspended for gambling, leading to his baseball career, and David Stern did rig the NBA Lottery to give the Knicks Patrick Ewing. The courtroom needs definitive proof. It looks like the league doesn’t have it. Brady might end up a winner in the end. But that’s all to come. No matter what we have just been given the following takeaway – this story will span multiple NFL seasons. There isn’t a chance in hell that Brady’s case against the NFL would be finished by preseason games minimum. Unless, miraculously – and please, let this happen – the league actually settles before September, this story just won’t die. Now begins a new chapter in the Deflategate story’s refusal to die. Please let this be the last. Suspension or not, just let us live with the result.